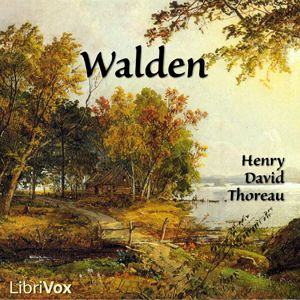 Listen to "Walden" on your iOS and Android device. Walden by Henry David Thoreau is one of the best-known non-fiction books written by an American. Published in 1854, it details Thoreau's life for two years, two months, and two days around the shores of Walden Pond. Walden is neither a novel nor a true autobiography, but a social critique of the Western World, with each chapter heralding some aspect of humanity that needed to be either renounced or praised. Along with his critique of the civilized world, Thoreau examines other issues afflicting man in society, ranging from economy and reading to solitude and higher laws. He also takes time to talk about the experience at Walden Pond itself, commenting on the animals and the way people treated him for living there, using those experiences to bring out his philosophical positions. This extended commentary on nature has often been interpreted as a strong statement to the natural religion that transcendentalists like Thoreau and Emerson were preaching. (Description amended from Wikipedia).